It was noon on a Tuesday in February. I wasn’t in my second hour of an organic chemistry lab. Nor was I napping after a particularly gruesome history midterm. I was whooping while throwing a 100lb tree down a hillside near Mount Everest. To my right was a ten-year-old monk sliding down the mountain on a wooden plank, holding a teapot on his head and an axe in his hand. We were on our way to rebuild Pema Choling Monastery’s Buddha statue, which had been destroyed in the 2014 earthquake. I was alone in Nepal for two months, and had never been happier. However, this extreme happiness was punctuated with periods of intense uncertainty. I was thinking of sunny Palo Alto as I lay shivering in Kathmandu during the daily 14 hour black out, freezing and lonely. I wondered what my dorm room bed would have felt like as I lay on a slab of rock with a tiny layer of foam insulation, my tent shaking around me in the Patagonian winds. I thought longingly of dining hall food when a bird broke into my food bag while camping in Oregon, leaving me one cliff bar to last me two days. In Glenn Spey, an unlikely spot in Upstate New York, I sat on a mound of dirt. Wearing a large sun hat that I’d found in a garage, I looked silly, but it was a sunny day there at the Kadampa Meditation Center and Buddhist Temple. 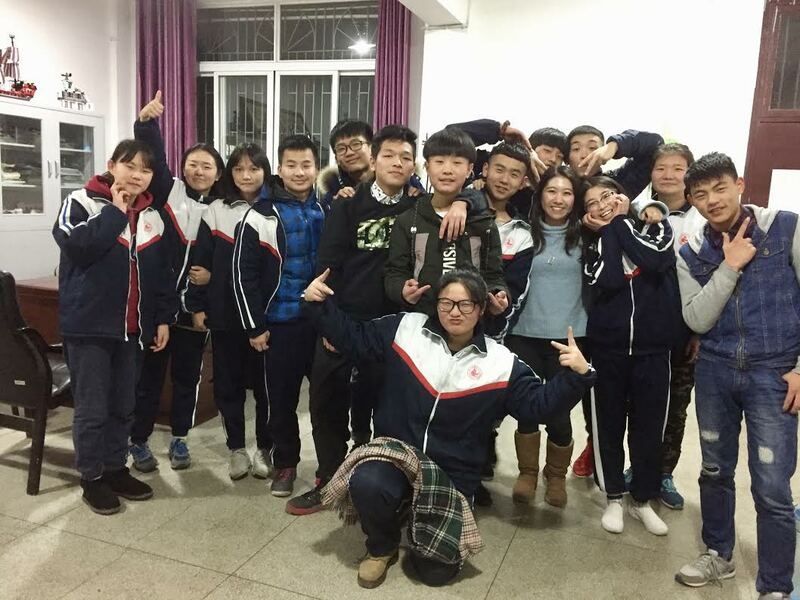 It had been two months since my return from Southern China, where I’d worked at an education reform nonprofit. I’d left wanting to learn more about Buddhism, after visiting numerous temples on my weekend trips—so there I was, helping out at the temple in exchange for free stay and food. The temple’s volunteer coordinator had sent a visiting worker—a woman in her forties from California—and I to weed out a garden. An overgrown thing, it sprawled in an ugly stretch next to a peaceful pond, and I thought no one would care for it. Most people overlook this garden anyway, I said to the woman. Isn’t this work kind of meaningless? So unproductive. The woman laughed. How do you know whether or not this garden means the world to an old resident at this temple? Would it mean something to you then? A “gap year” sometimes carries the stigma of an extremely luxurious year to travel, a year to abandon responsibilities and to romantically venture through the woods of some foreign country. On the contrary, our years were filled with moments of uncertainty that we had never had to deal with before. Left to plan out a life unbounded to a predetermined syllabus for the first time, we had to question and define what productivity meant for us; how to handle loneliness when utterly alone in a vast city; how to figure out what to do when our plans went awry. In the process of interviewing nearly a hundred students who took a gap year either between high school and college, during college, or afterwards—we heard one thing over and over again: The year off allowed me to feel more comfortable in situations of extreme uncertainty. Here, we mean “uncertainty” as an endless array of questions that follow when dealing with unexpected situations by ourselves. They range from questioning whether or not we’re spending the time in the “right” way, to failing miserably at a farm job that we’d mistakenly seen as easy, and having to figure out a way to own up and compensate for our blunders. No but really—how do you tell your host that their chickens are gone, because you left the door open by accident? When standing alone in a city you’ve used all your savings to get to and hate the waitressing job you’ve found—how do you come to value your decision to be there? These, of course, are important “real-life” questions, albeit ones that most of us don’t have the opportunity to contemplate before college. We had spent our high school lives getting really good at what we were supposed to do, and what others expected of us. We’d come to measure the value of our lives according to a certain standard set by a list of letters and awards—and despite effusively writing college essays titled “What matters to me and why,” we were curious to see what would matter to us when no one was watching. How would we spend a year that would not go on a transcript, resume, or common app? This was a question that our schools hadn’t asked us before: though we’d often pondered about our future careers, we’d never asked ourselves how we wanted to live. College is four years of what could be the final step in our education—and to make the most of it, we wanted to clarify what standards, expectations, and goals we’d want ourselves to embody. Taking a year off, of course, may not entirely answer these complex questions—but it definitely directed us in questioning and solidifying our values. After all, making a decision entirely independent of an adult’s or an institution’s hand-holding requires a rigorous introspective inquiry of what we want in life. As a result, we arrived at Stanford with a newly gained confidence and calmness that kept us grounded throughout a whirlwind that is freshman year of college. We felt more comfortable trying out a class in an entirely new subject, because we no longer felt as afraid of attempting something new. Contrary to our parents’ concerns, taking time away from school made us feel even more appreciative of participating in an intellectual community. 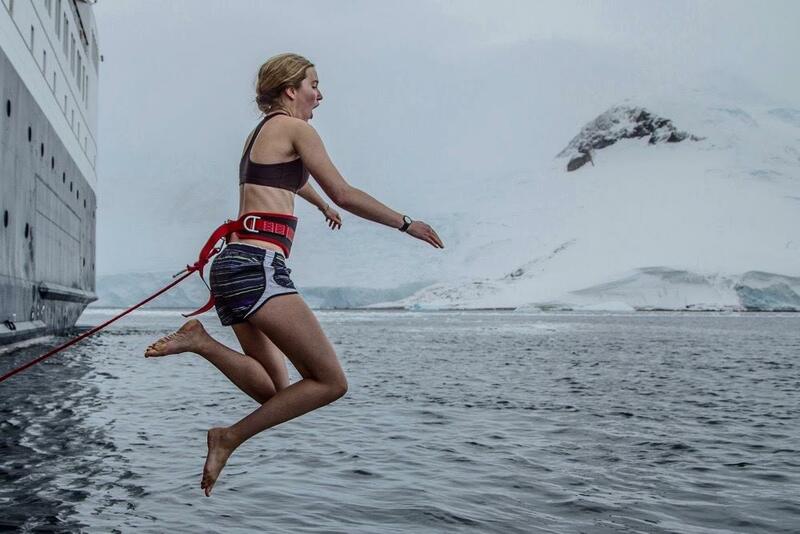 Grateful for our experiences and lessons gained throughout the gap year, we launched No Crap Gap Guides in early 2018 to inspire and help make gap years and independent adventure more accessible to other students. Since January, about 70 gappers have shared more than 120 gap year experiences that they’ve done, and our 30 mentors answer questions for any student who is considering a year off. Although we share experiences of many self-funded gap years—and though many experiences are domestic ones—we also understand that being able to use savings for travel is a great privilege. To help students realize trips that provide opportunities for valuable adventure and uncertainty, we are working on offering scholarships in the near future. 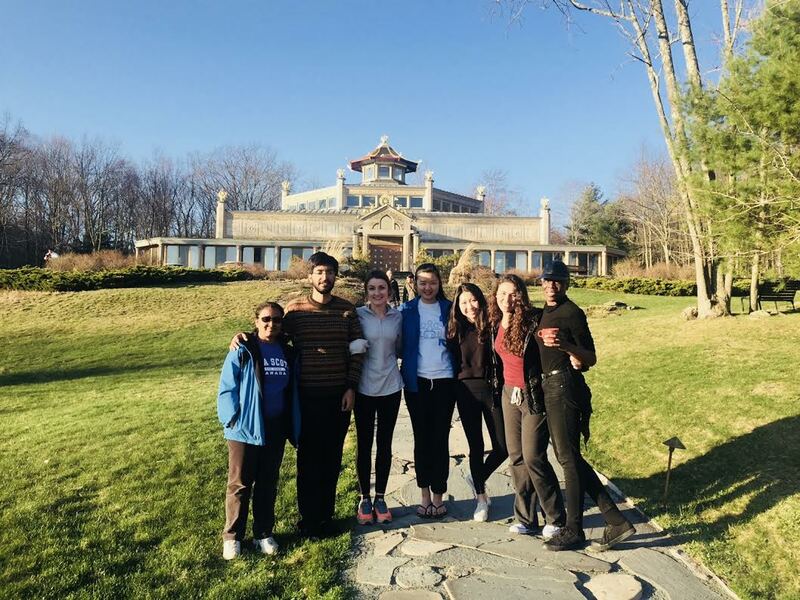 We hope that you will join us in our mission in accelerating a gap year movement by giving students the tools and confidence to take a year off. You can check out previous gappers’ experiences here; you can also contribute to our scholarship here. we hope that their stories will help inspire yours! Sasha Landauer and Jiyoung Jeong are two Stanford students who started a website called No Crap Gap Guides to accelerate the trend of gap years in America and make them more accessible. They both organized their gap years independently and set out to share their experiences and help guide others through the gap year process. They decided to partner in order to create a platform to provide mentorship and broadcast all the different options for gap years. This entry was posted in blog, Gap Year Benefits. Bookmark the permalink. 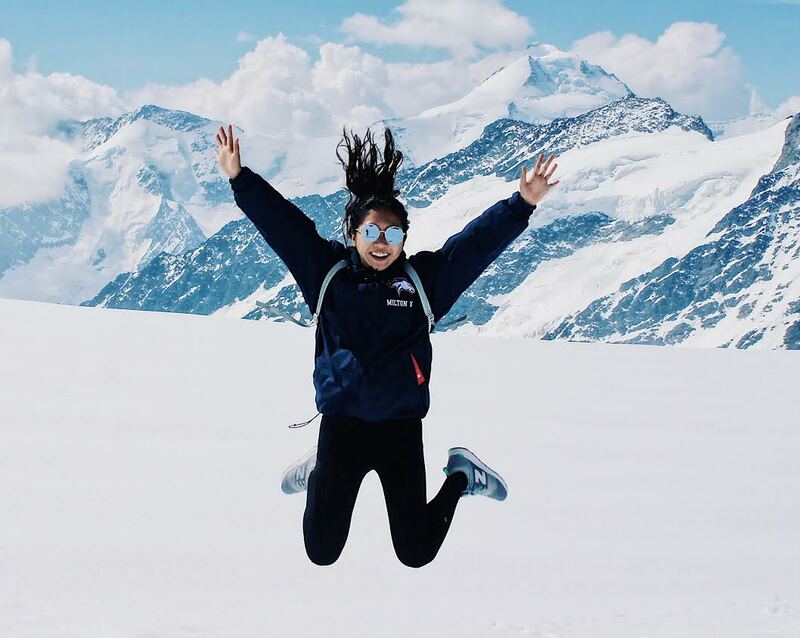 ← Michelle Zhang: Live from the Peruvian Amazon!